Desi Smith/Staff Photo. 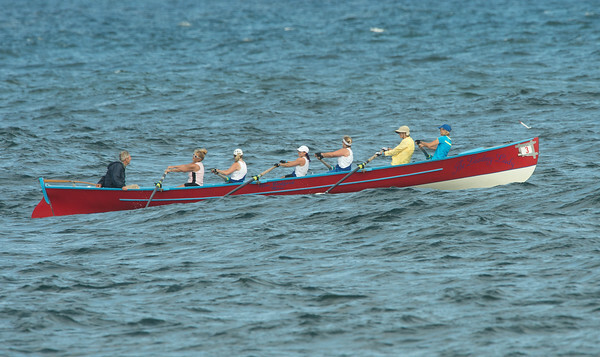 The crew of The Leading Lady pushes through rough waters around Lanes Cove in the Blackburn Challenge held Saturday morning. July 25,2015.